The Dangers of Truck Driver Fatigue | The Cagle Law Firm, P.C. Drowsy or fatigued driving is as dangerous, or in comes cases, more dangerous than drunk driving. Driving after being awake for 18 hours straight is equivalent to driving with a blood alcohol content (BAC) level of 0.05. After being awake for 24 hours straight, it is like driving with a BAC of 0.10. In all states, a driver with a BAC of 0.08 is considered driving while drunk. Fatigued drivers and drunk drivers both have impaired cognitive functioning, slow reaction time, and impaired judgment. There are signs you can look for that indicate a driver may be drowsy or fatigued, such as swerving in and out of their lane, driving too slowly, or stopping abruptly behind cars that are already stopped, for just a few examples. The FMCSA rules apply to drivers of trucks traveling interstate, which means they may be traveling through Texas on their way to a final destination in another state, or they may be coming from another state with Texas being the final destination. Texas has similar rules that apply to drivers who only drive in the state of Texas. A 14-hour “driving window” limit. A driver may not drive more than 14 consecutive hours after being off duty and not driving for a minimum of 10 hours. This applies even if a short break, such as for lunch or a nap, was taken during those 14 hours. An 11-hour driving limit. This is a rule that works in conjunction with the 14-hour driving window limit. During the 14 hours of driving, after a 10-hour break, the driver can only drive 11 consecutive hours during the 14-hour window. This means that the driver must take driving breaks for things like eating or driving. After driving for 8 hours, the driver must take a 30-minute break. A 60-hour/7-day and 70-hour/8-day duty limitations. This is self-explanatory by the title. Drivers must keep a log book where they record their driving time and their breaks. The rules are somewhat complex, but the Guidebook has examples and exceptions to rules so drivers can carry it with them and consult it to be sure they are following the rules. Unfortunately, that is not enough to still keep fatigued truck drivers off the road. More than 71,000 citations given for a driver who did not have a current driving record status. A total of 51,149 citations for driving beyond the 8-hour limit. Nearly 43,000 citations for false reporting times driven and breaks taken as evidenced by the log book. Approximately 32,600 citations for not having a log book. Nearly 33,000 citations for driving beyond the 14-hour duty period. More than 19,000 citations for driving beyond the 11-hour limit in the 14-hour period. Another 25,554 citations for not having a current log book. Drivers are often on strict deadlines to deliver cargo. They push themselves past the time-limits of the regulations in order not to jeopardize their working arrangement with the employer. Some employers offer financial incentives to drivers who deliver cargo early. Other companies pay drivers per mile driven. The risk of being given a citation for driving past the hour limitation may pale in comparison to drivers pushing themselves so they can get a bonus. Employers who overlook the fact that truck drivers exceed driving time limits, and turn a blind eye to violations of the time regulations, may also be held liable for their drivers who are involved in accidents due to driving while fatigued. 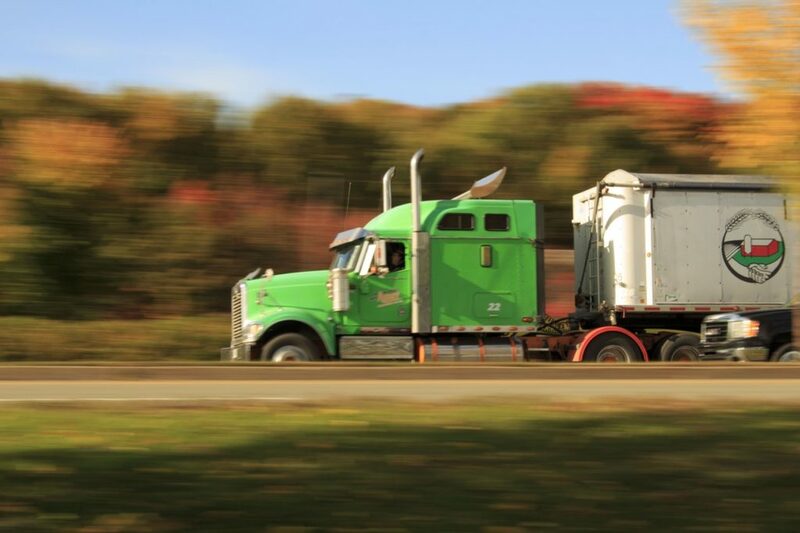 Who Is Liable for an Accident Caused by a Fatigued Truck Driver? In addition to the fatigued truck driver who caused the accident, there are times when the driver’s employer may also be held responsible for the accident under a theory of vicarious liability. The company may have been negligent in their hiring or supervising of the driver. It may also be liable for encouraging drivers to drive while fatigued in order to meet deadlines or earn bonuses. If you were injured in an accident with a truck, or someone you love was killed in such an accident, contact our personal injury attorneys at The Cagle Law Firm, P.C. We offer a free consultation.